Join us for a convivial evening of conversation and connection at the Parlour Spring Salon. Casual and welcoming, the Spring Salon is one in a series that builds connections among the women active in our built environment. The Parlour team sets the scene with a short public conversation between two women at different stages of their careers: Meaghan Dwyer (John Wardle Architects) and Linda Kennedy (Future Black). Then it is over to you to meet new people, swap stories and strategies, form new networks and revive older ones, and simply enjoy the company of great women of Victorian architecture over a glass of wine. 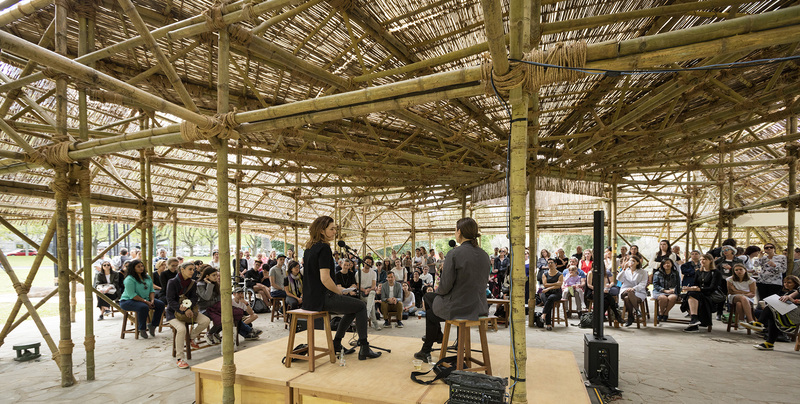 Whether you are an emerging or established practitioner of architecture, or active in the built environment in other ways, all are encouraged, women and men, to join the Parlour Spring Salon at MPavilion. This event is supported Parlour partner Australian Window Systems (AWS).